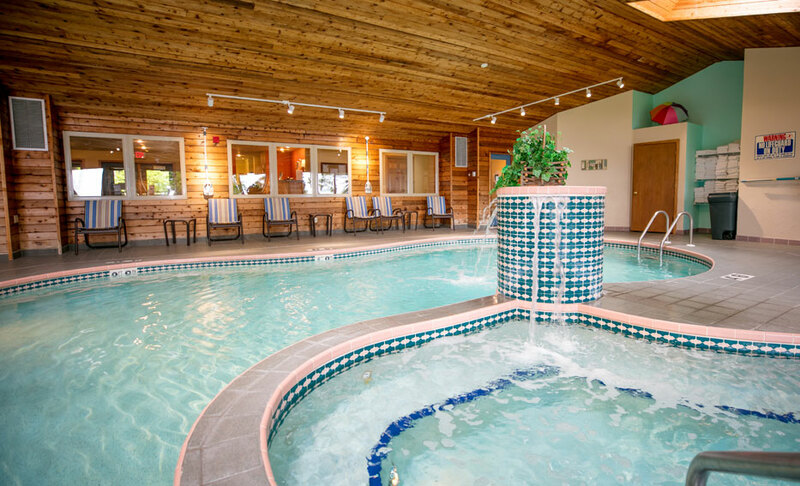 Glidden Lodge Beach Resort is one of the best Door County Hotels offering fantastic amenities. In fact our resort has been rated 5 stars excellence by over 150 travelers on the Tripadvisor website. Our waterfront hotel sits on an accessible Lake Michigan beach in a quiet and tranquil setting, a short drive from Sturgeon Bay and the other picturesque Door County villages. Scroll down to see what our beachfront resort and inn has to offer. 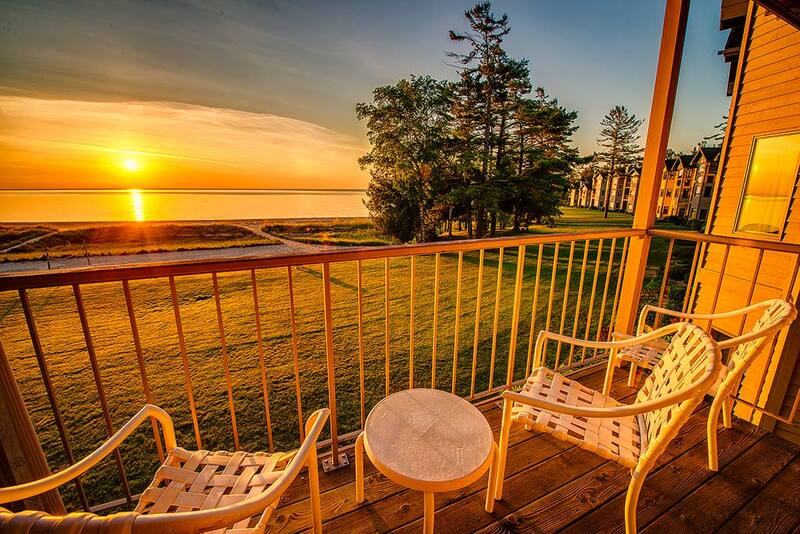 Glidden Lodge Beach Resort features 31 beautiful one, two, and three bedroom condo rentals on a sprawling white-sand Lake Michigan beach in a quiet, tranquil setting in Door County, Wisconsin. Enjoy the morning sunrise from our waterfront inn. The beachfront vacation rentals at our Door County resort all face the water and are equipped with full kitchens, gas-log fireplaces, two-person spa tubs and most anything else you may need for a peaceful get-away or a family gathering. For those of you who can’t leave your work behind or those who just prefer to be connected Glidden Lodge Beach Resort in Door County offers free wifi wireless internet access throughout our resort. Stay in touch with work, friends, family, and plan out last minute activities online. Forgot your laptop? No problem. We also have a business center at your disposal off the lobby. 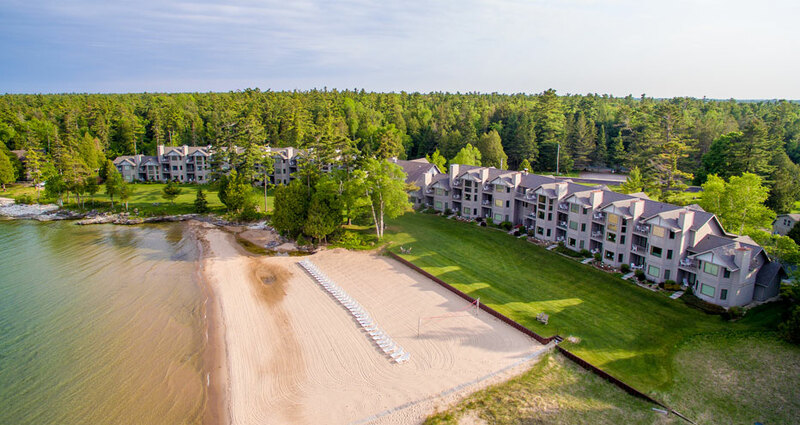 Our Door County resort amenities include a 700′ golden-sand beach with shallow water for swimming, beach chairs and chaise lounges, beach volleyball, basketball standard, tennis court, fragrant cedars, outdoor grilling station, and indoors: a pool, hot tub, sauna, and fitness room. Enjoy a soak in the hot tub, sweat it out in the sauna, fulfill your exercise regime in our fitness center, challenge someone to rousing “ball” game, or just sit back with a good book and listen to the waves lap the shore. Our resort is open year round to take advantage of the Door County beauty in every season.